Courses offered by Metro Safety ensure safety and health in the workplace. Coquitlam, Canada, March 21, 2019 --(PR.com)-- Metro Safety has been offering first aid training courses to workers since 2008 and has helped numerous businesses equip their workers with basic safety and aid skills. Their services and courses are not restricted to workplaces but are also extended to colleges, etc. These courses have helped spread awareness, education of the risks involved, and an increased emphasis on maintaining safety as a first priority in workplaces. Metro Safety provides first aid services to businesses that intend to invest in their employees. Their advanced courses like Occupational First-Aid Level 2 and Level 3 last for 36 and 72 hours respectively. The tests also comprise of written and practical tests. People who pass the tests are able to perform all emergency first aid techniques and skills according to the standard set by Work Safe BC. Metro Safety Training’s decision to educate the youth in first aid training and workplace safety programs is a promise for a better and stronger future. The company has been offering these courses for the past 11 years now. Equipped with the right knowledge, they take corrective actions to mitigate any risks of serious injuries. While the basic courses do not require workers to have prior training, some of the advanced courses are built on tests before training can begin. 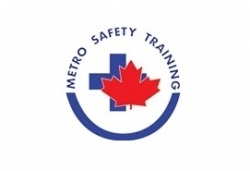 Metro Safety is a leading workplace safety and first aid training provider based in Coquitlam, Canada. Metro Safety has maintained a decade of professional first aid training, with an impressive clientele benefiting from their courses. They offer courses in Burnaby, Vancouver, Coquitlam, Richmond, and Surrey. Their timings are flexible and the packages various, giving their clients a number of options to choose from.